WARNING Only use a G.P.S. device or internet maps to get to M120 & M20 or M37 & M20, beyond that they may guide you into difficult roads or impassable areas. Only use the directions on this page or the NEWAYGO OCEANA MAP on our site. *** After the TODS Sign proceed 4 miles North on Green Ave. to 5 Mile Rd. Turn East/Right on 5 Mile Rd. Stay on 5 Mile Rd. for 2 miles until it dead ends at N. Warner Ave. Turn North/Left on N. Warner Ave for .3 mile. 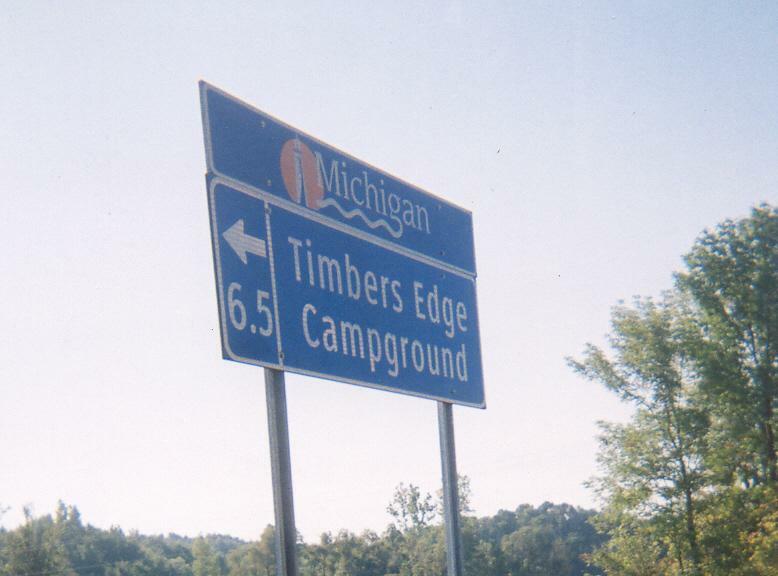 Timbers Edge Campground is on the West/Left.